TM1 – The swiss army knife for the finance department? No doubt, IBM Cognos TM1 is a unique solution. I have never met so many loyal and enthusiastic long-term customers than for any other finance-related software solution. TM1 is special indeed. There is a lot to like: it is lightening fast (64-bit in memory), configuration does not require rocket-science, it supports Excel, there is a great-looking web interface etc.. But one of the biggest benefits is that TM1 is very flexible. You can do many things with this solution. Usage is not limited to just planning and forecasting. It is not limited to the finance department but it can be leveraged across the enterprise for a plethora of business problems. And that is why many people say that TM1 is as versatile as a Swiss Army Knife. What can you do with IBM Cognos TM1? A good colleague of mine recently put an interesting slide together. It shows various applications that European customers have built. This is not an exhaustive list but just a snapshot of what is possible. Does this inspire you? Find out more about TM1 by reading my interviews with the author of the IBM Cognos TM1 The Official Guide . And if you haven’t bough the book itself, make sure to pick up a copy sooner than later. Author Christoph PapenfussPosted on June 21, 2012 Categories Analytics, Finance, Plan & ForecastTags cognos insight, ibm cognos tm13 Comments on TM1 – The swiss army knife for the finance department? Last Thursday, I posted an interview with the author of the new TM1 book Karsten Oehler. Here is the continuation of the conversation. This part of the interview focuses on the new IBM Cognos TM1 10.1 release. Christoph Papenfuss: IBM Cognos TM1 10.1 was released in February of 2012. What is so special about this release? Karsten Oehler: One of the central components of version 10.1 is a new modeling environment. It is called Performance Modeler. It really encourages finance and business professionals to develop their own models. Performance Modeler allows them to develop complex rules and links. You can also easily import data into applications. None of this requires deep technical knowledge. Christoph Papenfuss: Does Performance Modeler replace Architect? Karsten Oehler: Performance Modeler is an enhancement. The user can choose which tool to use. Architect is closer to Excel and has some features which are currently not supported by Performance Modeler. This includes dynamic subsets and report generation of Excel sheets from the cube viewer. Christoph Papenfuss: There is a new desktop tool call Cognos Insight. It looks similar to TM1. Is there a relationship or connection between the products. Karsten Oehler: Cognos Insight is a very powerful desktop tool that allows business people to conduct analysis, explore data and to develop prototypes. TM1 and Cognos Insight are closely connected – a local TM1 engine is part of Cognos Insight. It uses the same rule syntax and a simplified Turbo-Integrator version for data import. You can also import Cognos Insight models into Performance Modeler and refine them further. Karsten Oehler: There are two aspects: Planning applications are often created by prototyping. Cognos Insight is a great tool to express ideas and to develop prototypes. Secondly Cognos Insight can be used an additional front-end for contributors to the planning, budgeting and forecasting process. Christoph Papenfuss: Who should use Cognos Insight as a client for planning and forecasting models? Karsten Oehler: TM1 has strong tools to support a highly decentralized planning and forecasting process. I recommend to use the IBM Cognos Contributor front-end because it is easy to distribute (non-local installation). With TM1 10.1 you can also integrate web sheets created via the Excel add in. However if somebody is using Insight for data discovery it is very interesting to contribute to the planning process directly within Cognos Insight. Another advantage is the scalability: With Insight it is possible to let the local insight engine do all the calculation which is needed for the planning slice assigned to the user. Christoph Papenfuss: What do you like best about TM1? Karsten Oehler: It is definitely the rule language. It is the most compact way to formulate all kinds of calculations to solve all kinds of business problems. The most complex cost and profitability calculations often look pretty easy after modeling them with TM1 rules. Christoph Papenfuss: Thank you so much, Karsten! 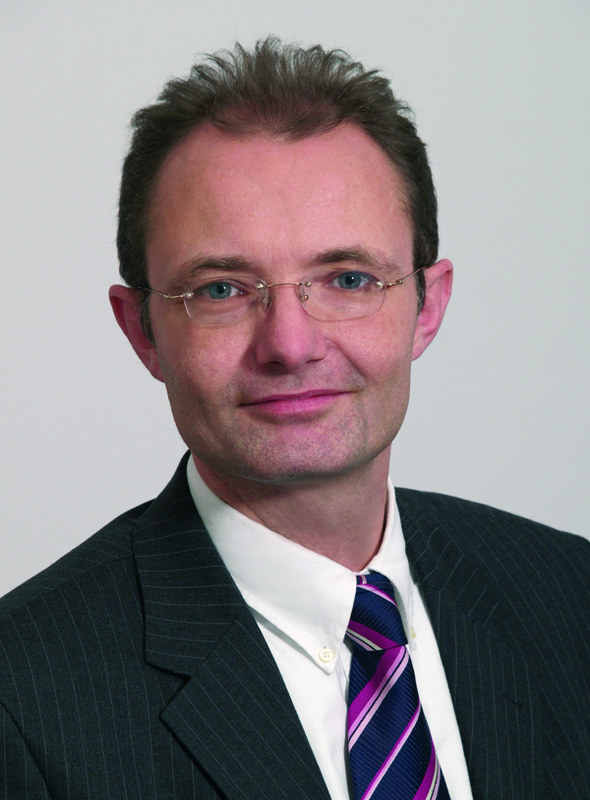 Karsten is head of the Performance Management Client Technical Professionals at IBM Germany. Prior to joining IBM, he spent more than 15 years with several international software companies as a product manager, marketing executive, and consultant for financial accounting and business intelligence software. 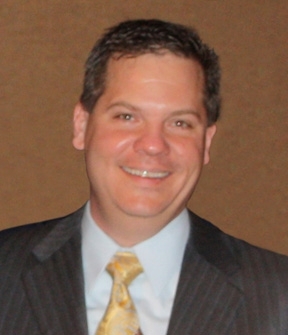 He has published several books and well over 130 articles about business analytics. 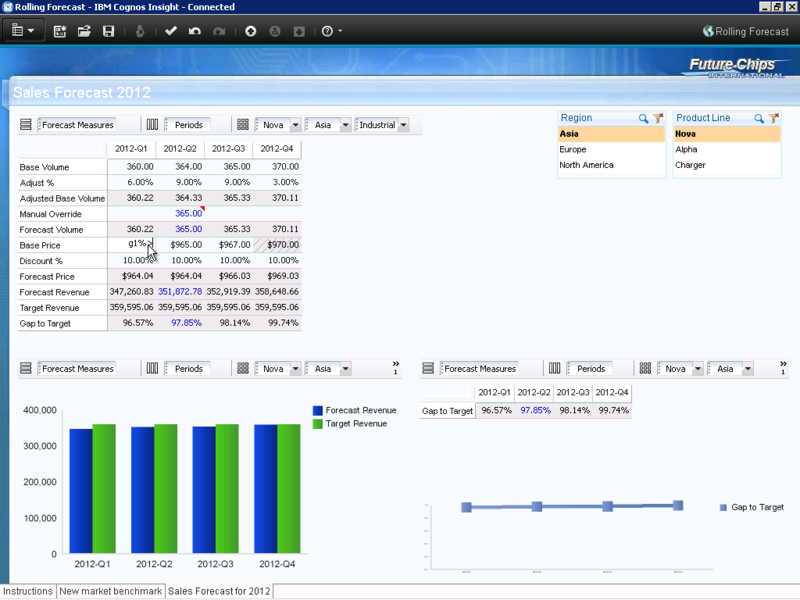 The highly anticipated 10.1 version of IBM Cognos TM1 was released in February 2012. Along with the software there is also a great new TM1 book: IBM Cognos TM1 – The Official Guide. My German colleague Karsten Oehler is one of the authors of this comprehensive TM1 book. We had the opportunity to catch up last week. It was very early in the morning and we were both on our first cup of coffee. This is the first part of two short interviews. Check back Tuesday next week to read more. Christoph Papenfuss: Let’s start this discussion with an important question. TM1 is a strange product name. What does TM1 stand for? Karsten Oehler: The name sounds still fresh and interesting after 25 years, right? Oh well…..it is an interesting name, indeed. And we do get a lot of questions about it. Here is the truth. Don’t be shocked – it stands for Table Manager 1. And it is the solution No 1 from my point of view. Christoph Papenfuss: What is TM1? Can you describe it in an elevator-speech style? 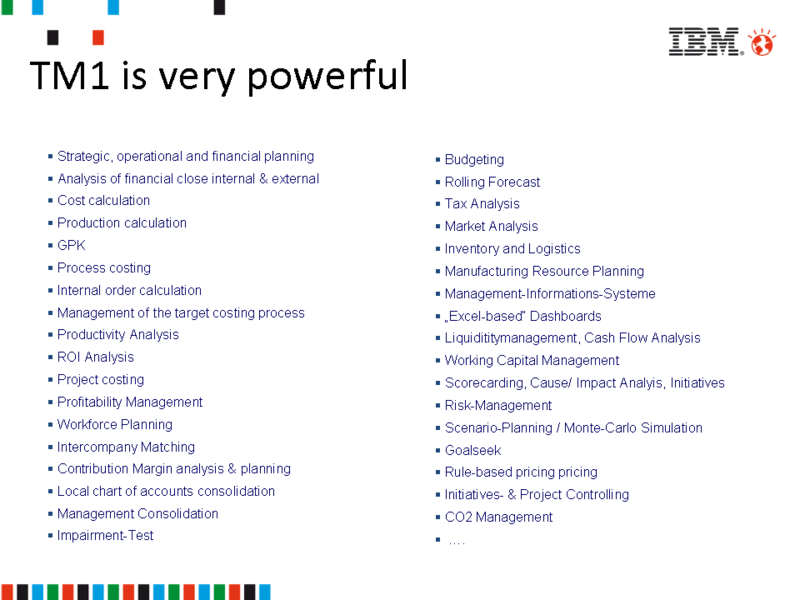 Christoph Papenfuss: Who can use IBM Cognos TM1 and why should they? Karsten Oehler: Everybody with a need or desire to perform analytical work should use TM1. TM1 links typical analytical office work (Excel) with a high performing analytical database. However it doesn’t require that much conceptual overhead so that a business user is able to define his own data structure. TM1 doesn’t replace spreadsheets or data warehouses. It literally brings both worlds together. Christoph Papenfuss: There are many planning, budgeting and forecasting solutions out on the market. What makes IBM Cognos TM1 so special? Karsten Oehler: I am heading up a research group at the Controller Verein, the biggest European community for management accountants and finance experts. We describe several classes of planning tools: spreadsheet enhancements, ERP enhancements, OLAP, specific (financial) planning solutions and generic planning solutions. The last category is the most powerful one because it provides a lot of flexibility while also allowing you to leverage strong predefined planning functions like workflow, simulation, financial intelligence. Within this group TM1 is the best one because it has the most modern architect (scalability, write back queuing, rule optimization, batch processing environment) and the newest interface. Christoph Papenfuss: Is TM1 just for planning, budgeting and forecasting? Karsten Oehler: Absolutely not! As I mentioned before, TM1 is extremely powerful and flexible. 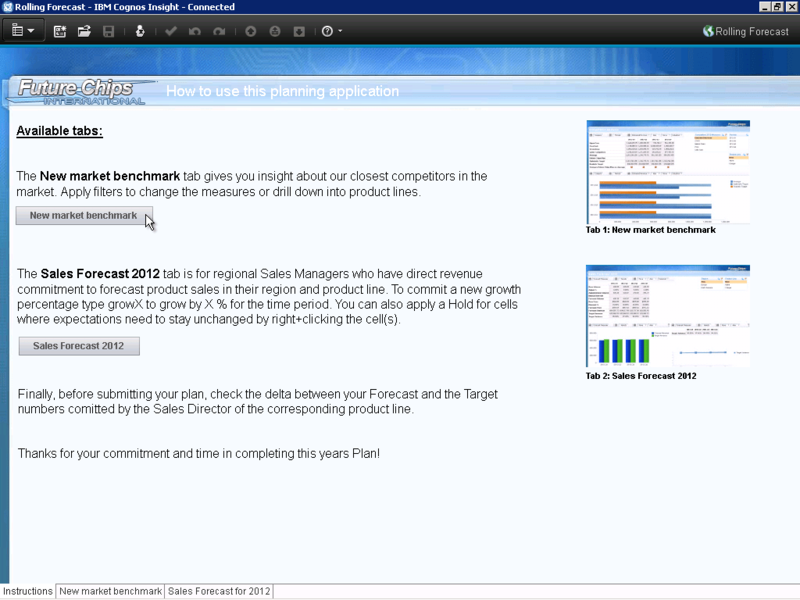 Planning, budgeting and forecasting is just one area where TM1 can add tremendous value. Other important areas where TM1 excels at is profitability and sales analysis, costing (an area where TM1 is extremely strong), management consolidation, and last but not least production planning. 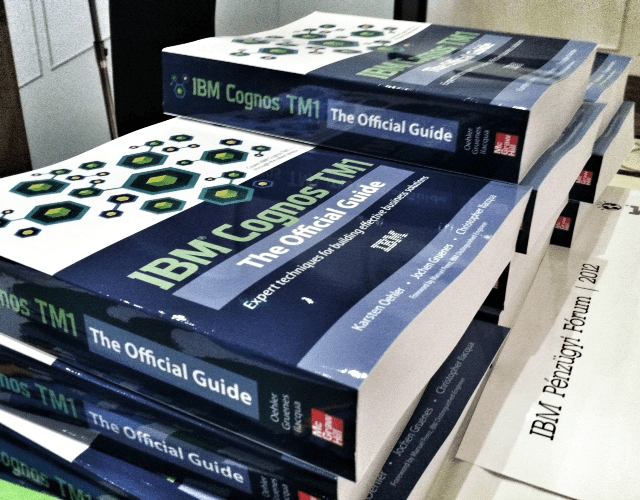 Christoph Papenfuss: You have just released the book IBM Cognos TM1 – The Official Guide . What prompted you to write this book? Karsten Oehler: When you look at the bookstores and see shelves of SAP books and hardly any book about the best analytical tool, you have to scratch your head. We wanted to change that. Also, together with our customers we had developed a lot of valuable business content over the past decade. We really wanted to share this with others. Christoph Papenfuss: What can you expect to learn from the book? Karsten Oehler: How to live a better life – just kidding. No, in all seriousness it should help you with your daily TM1 work. It explains the architecture in a focused and structured way. This is an area where the standard documentation is sometimes a bit too extensive. Also, we have included a ton of business content. 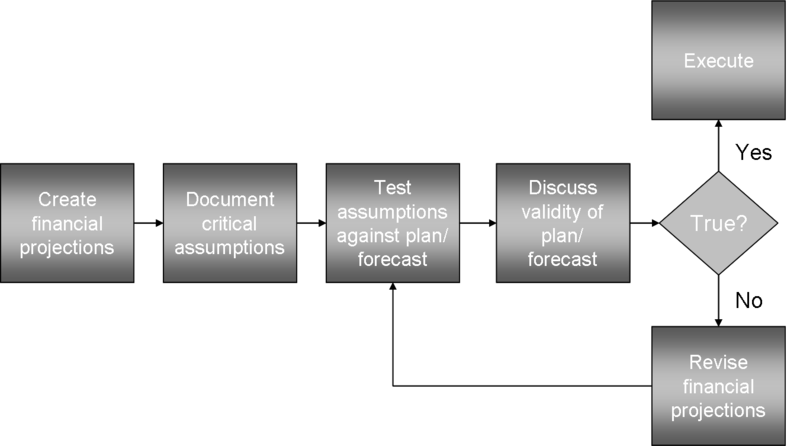 There are several small models that explain how TM1 can solve specific business problems like rolling forecasting, inter-company matching, variance analysis, activity based management etc..
Christoph Papenfuss: Who should read the book? Karsten Oehler: Anybody who has an interest in TM1! 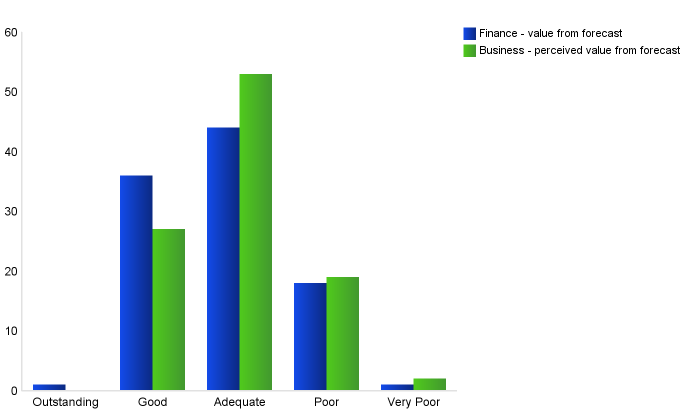 Early feedback shows that power users and business consultants are the primary readers of this book. Christoph Papenfuss: What is the best way to read your TM1 book? Is it more like a workbook or a resource guide that you pull out when you need it? Karsten Oehler: Of course you could read the entire book, but I wouldn’t recommend that. It’s 800 pages strong! I would rather suggest to focus on just those business areas that you are interested in. Simply read it section by section. I would imagine that most people will use the book as a powerful reference. Christoph Papenfuss: IBM recently released TM 10.1 . Do you cover the latest version in your book? Karsten Oehler: We certainly cover it but it was not easy because there were a lot of short term changes in the development process. The business models are backward compatible. We wanted to make sure that users from the older releases are also able to leverage the book. To be continued next Thursday…..the second part will focus on the 10.1 release. There is a lot of buzz about Cognos Insight. It is a great tool for analyzing and discovering data. There is also the ability to perform powerful what-if analysis through the use of write-back capabilities. 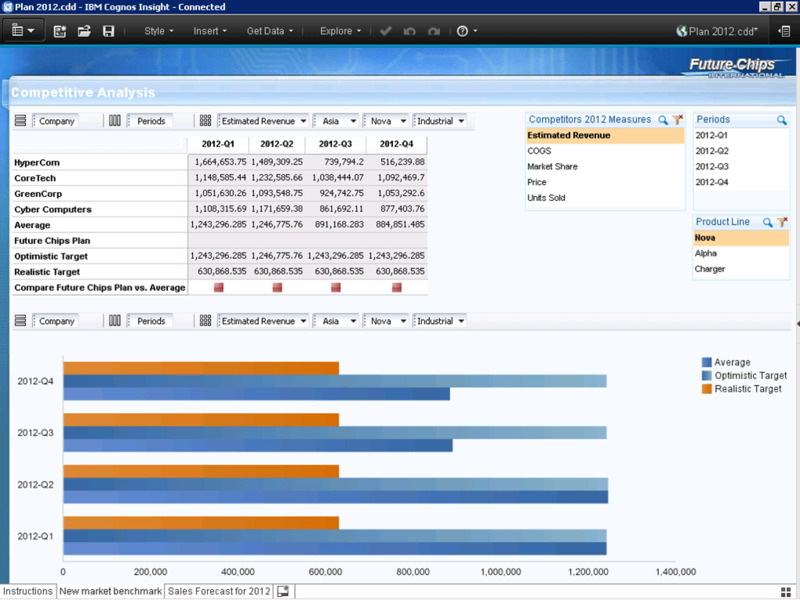 But Cognos Insight is actually more than just a personal desktop analytics tool. You can use it to create visually appealing planning applications for IBM Cognos TM1. To do that, you simply have to connect Cognos Insight to the workflow of a specific TM1 planning application. 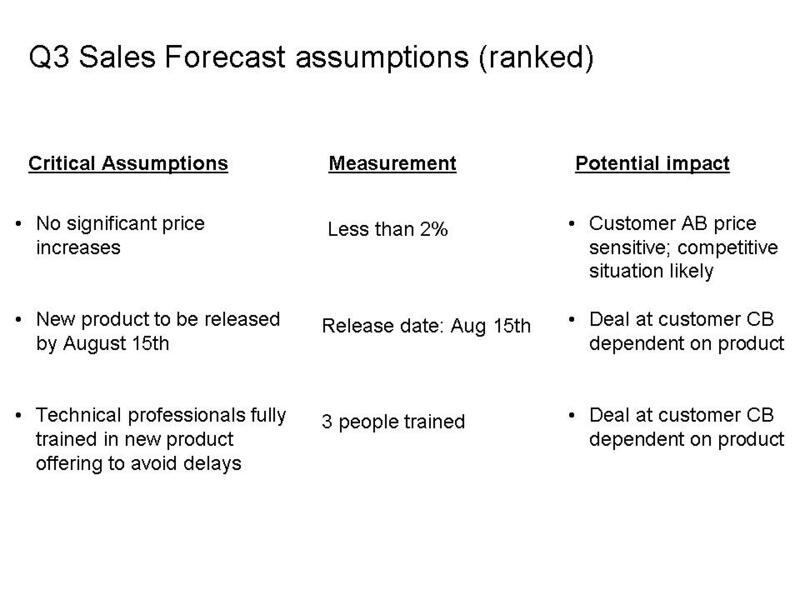 Let’s take a look at a simple example – a sales forecasting model. It is a well-known best practice to include specific instructions in a planning template. That helps the business understand the model and to identify specific tasks that they need to focus on. Cognos Insight allows you to insert text boxes, images and hyperlinks. Action buttons make it easy for casual users to jump between different planning pages and cubes. The result is a clean-looking set of pages. You can finally also include traffic lights and real-time charts right in your actual planning application. This provides users with instantaneous & visual feedback. We all know that a picture says more than a thousand words, right? Last but not least, you can also leverage great short-cuts for entering data. Cognos Insight is much more than just a personal analytics tool. Using it as a client for TM1-based planning or forecasting models offers up some fantastic opportunities. Business users love the visual and interactive applications you can build. Is it hard to create these applications? No, not really. All it takes is drag and drop. 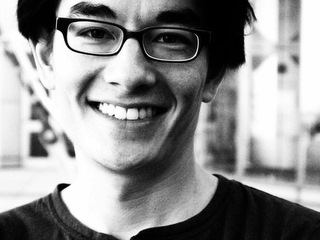 Paul is currently working as a Solution Architect for the IBM Business Analytics Product Marketing team. He joined Cognos as a BI Consultant in 2007 from a background of developing sales reports in the banking and finance sector. He lives in beautiful Stuttgart, Germany and loves to ride his motorcycle.